Moscow (AsiaNews) – After a trial year, “Foundations of religious culture and ethics” will be taught in all Russian schools throughout the country next year, the Russian Ministry of Education announced at a press conference held on March 23 in Moscow with representatives of the four major religions. 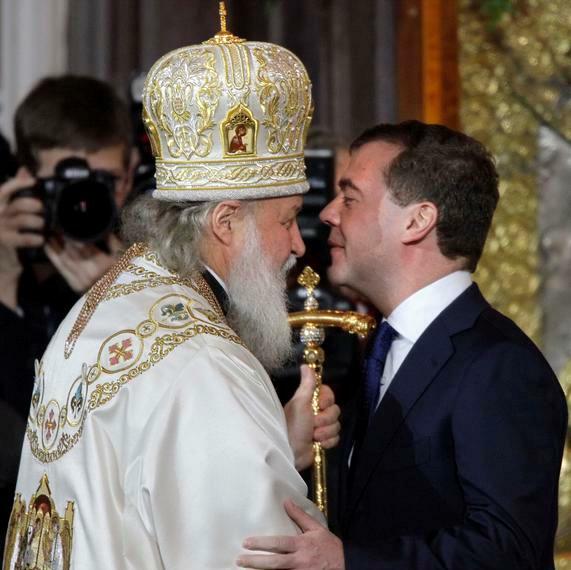 According to authorities and religious leaders, especially from the Russian Orthodox Church, the trial year was a “success”, but nobody was able to respond to journalists questions with exact figures on the course participants and the degree of satisfaction. “A large number of students chose courses on religion – said Archpriest Vsevolod Chaplin, chairman of the Department for the Church’s relations with society at the Patriarchate of Moscow – and this did not cause any inter-religious conflict, but instead we notice a change in the morale among the children who attend them”. Banned during the Soviet era, religion made a comeback in schools in April 2010, but only in some regions, with an initiative strongly supported by the Patriarch of Moscow and blessed by the Kremlin, which aims to a cement national identity on shared values . Students of primary and secondary schools may choose to study between the history of one of the four traditional religions – Orthodox Christianity, Islam, Judaism and Buddhism – or more general courses on “foundations of religious culture” or “fundamentals of public ethics” . So far the lessons were held for only one semester of the school year, but the Orthodox Church has asked that in2012 they be extended over the year. Elena Romanova who heads the Ministry of Education office for the teaching of religion, explained that the problems still remain, one regarding textbooks, they are “prepared with too much haste”, and teachers, who need a” further training”. The study of religion in schools raises many perplexities among minority faiths who believe the project a Kremlin attempt to affirm Orthodoxy as the key pillar of national identity. As if I still need to remind you of the perilous state of the Church of England? Manchester Cathedral is to host a ‘new age’ festival featuring tarot card readers, crystal healers and ‘dream interpretation’. Fortune tellers, meditation experts and traditional healers will fill the pews during the day-long festival in May. The Bishop of Manchester, Rt Rev Nigel McCulloch, said he wanted to celebrate ‘all forms of spirituality’. The Spirit of Life festival on May 2 will also feature stalls and workshops on angels, prayer bead-making and massage. Fire-breathing vicar Rev Andy Salmon, of Sacred Trinity Church and St Philip with St Stephen in Salford, will also perform. It comes after the Manchester diocese held its first-ever stall at the Mind Body Spirit festival at Manchester Central. Read more on this New Age mumbo jumbo here. See, this is what happens when sound doctrine is abandoned. Now just about anything goes. And this latest misguided endeavour is simply incompatible with the practice of Christian faith and should be denounced as evil. Blending Christianity and New Age practices distorts God, His Son Jesus Christ and His Word and reduces them to some kind of impersonal energy in a gnostic matrix. Moreover, divination, of any kind, is to be rejected as it is nothing more than a recourse to Satan and his minions. 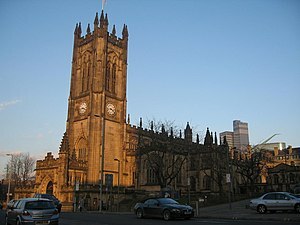 Wikipedia has an entry on the Manchester Cathedral here. As a Christian symbol, it seems appropriate that its resurrection took place in time for Easter. Glastonbury’s Holy Thorn tree began to show new buds this week, three months after it was savagely cut down by vandals. After the devastating revelations in Philadelphia this past month, Catholic leaders and Catholic laity are asking, “Will it ever end?” Will there be a time when we won’t be blindsided by new revelations of abuse and new revelations of allegations mishandled? Concerned archaeologists called today on Egypt’s Prime Minister Essam Sharaf to return police to archaeological sites. The move is required to put an end to illegal excavations and wild looting of storehouses and tombs. “The desecration of archaeological sites and monuments is not only a huge loss for the people of Egypt on a national, economic, and human level, but is also a loss to all of humanity and to science,” Tarek El Awadi, director of the National Egyptian museum, said in an open letter to Sharaf. Following the revolution that toppled President Hosni Mubarak last month, a new unprecedented wave of looting and vandalism took place at various sites in Egypt. “During the revolution of January 25th, the Egyptian Army protected our heritage sites and the Egyptian Museum in Cairo. However, in the last 10 days the army has left these posts because it has other tasks to do,” said Zahi Hawass, who resigned this week as minister of antiquities in protest at the lack of proper action on the looting.